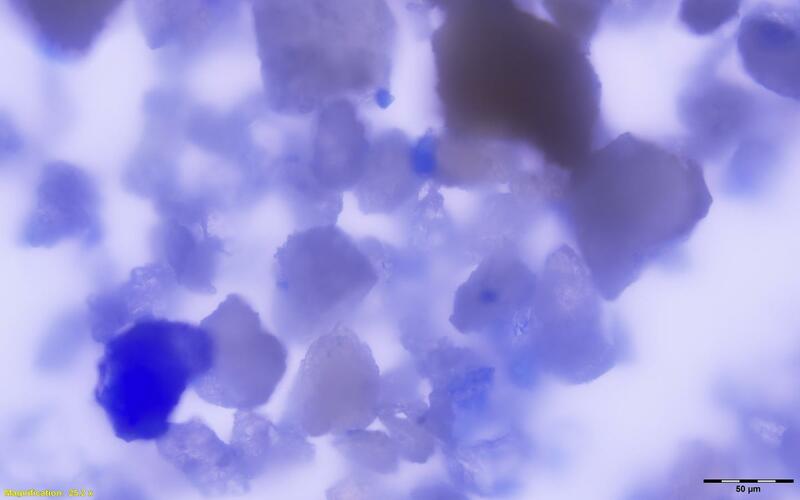 A team of researchers led by the Max Planck Institute for the Science of Human History and the University of York have discovered lapis lazuli embedded in the dental tartar of a medieval woman. The presence of this extremely expensive pigment in her teeth indicates that the woman was a manuscript illustrator of the highest caliber. 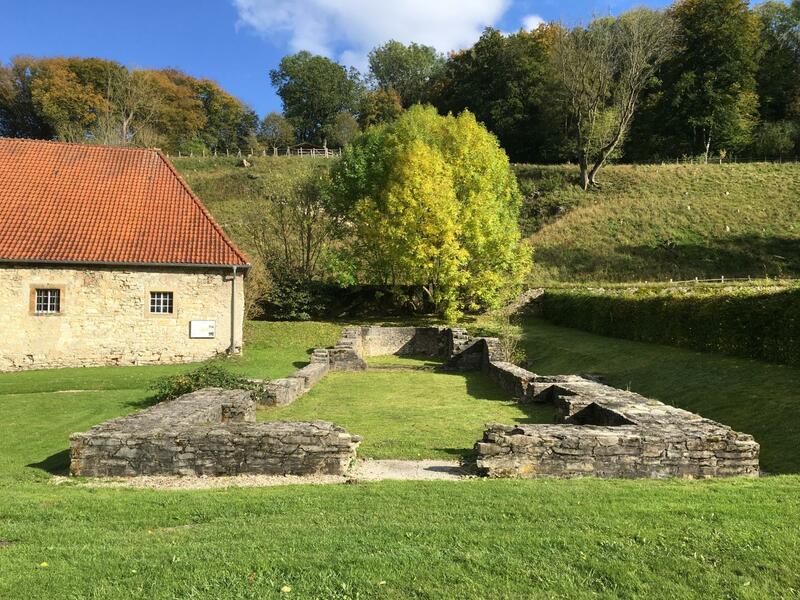 She was buried around 1100 A.D. in the cemetery of a small monastery in Dalheim, western Germany. The woman’s monastery is in ruins today with only a few architectural remains still surviving. The date of its founding is unknown (it might have been as early as the 10th century) with the earliest written records dating to 1244. 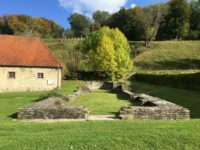 It was destroyed by fire in the 14th century, but until then it was home to a small community of just over a dozen religious women. The skeletal remains of the woman were analyzed as part of a project to study dental calculus that forms on the teeth during life and calcifies. 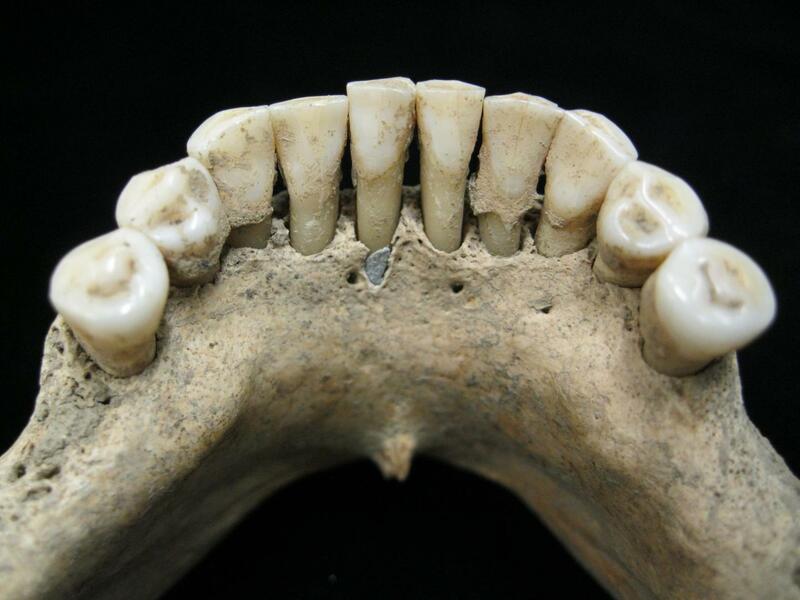 Stable isotope analysis of hardened plaque specimens can identify what people ate. Or ingested, as must have been the case of the woman with blue pigment particles embedded in her plaque. She was between 45 and 60 years old at the time of her death. There is no sign of an explicit cause of death on her skeleton — no evidence of illness, injury, infection or repetitive motion or stress. Only one unusual feature stood out: the blue stain on her teeth. Spectographic analysis revealed that the blue came from lapis lazuli. “We examined many scenarios for how this mineral could have become embedded in the calculus on this woman’s teeth,” explains [University of York researcher Anita] Radini. “Based on the distribution of the pigment in her mouth, we concluded that the most likely scenario was that she was herself painting with the pigment and licking the end of the brush while painting,” states co-first author Monica Tromp of the Max Planck Institute for the Science of Human History.